Everyone has a process - a way of looking at the world, translating it in his or her mind and then articulating the experience to others. Writers are always looking for inspiration, but they also know its rare for a singular incident to give rise to an idea rich enough to become a book. Often, the writer pulls together various bits of information and knits them into a whole. I love the way today's guest blogger, Gail Gaymer Martin explains how her process works. Gail is a multi-award-winning novelist and author of Writers Digest, Writing the Christian Romance, she writes women˙s fiction, including romance and romantic suspense. She has 42 published novels with 3 million books in print. Gail is a full-time novelist, popular keynote speaker and workshop presenter across the United States and abroad. 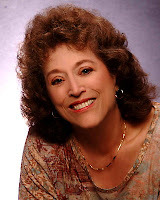 Visit her website at www.gailmartin.com and her Writing Fiction Right blog at www.writingright-martin.blogspot.com, and look for DAD IN TRAINING in stores the month of September, 2009 and MONTEREY MEMORIES released in November, 2009. I have holes in my head. I like to call them niches. When something triggers a story nugget, often not even an idea, it lands in one of these holes. What causes the nugget can be many things---an article in a newspaper, song lyrics, a Bible verse, observing a person, hearing someone's adventure or experience, a location, a photograph. I'm stimulated by many things so this becomes the beginning. These niches in my mind have little "magnets" and when I have another thought or experience and realize it might fit with the another nugget, it filters into the right niche. These ideas are like a jigsaw puzzle that finally begin to pull together and I begin to see an image or a picture. As the nugget grows to an idea, then scenes, a movie runs in my mind and I continue to add scenes and more nuggets. Eventually, the story fills my mind. My "hole runneth over" and I know this is a story that needs to be told. I can picture it, can't you? Reaching into the niches in her mind, examining the contents. Love the images. How about you? Do you have holes in your head? I'd love to hear about them. I bid you good writing. Gail has a cool way of describing her places for ideas. She always has a great way of looking at things! For me, I think my mind is filled with idea cinders, something sparks it and all of a sudden a story is ignited, like it was there all along just waiting to come to life. From there, I get curious and start my investigation, a little research does a lot to set that cinder ablaze. Before I know it I'm tending the flame and it illuminates the essence of the story and reveals itself to me. What a great image of her process! I tend to think of mine more like a slow cooker. When I get a topic, I research, ask questions, think of angles or twists and let it all simmer on the back burner until it's time to write (hopefully at least two weeks but life doesn't always work that way). Then when it's time, I always find that things have blended themselves into a singular form and the writing's done. I just have to get it out through my fingertips. Simmer and repeat to edit. My brain is like a crock pot. The stories simmer for awhile until I can "smell" that they are done. At that point usually the protag will not leave me alone. They have invaded my thoughts, like homeade pasta sauce invades your nose as it simmers. Right now I have 3 stories simmering nicely. I've got a story accreting right now, as a matter of fact. A couple, really. It's nice. There is none of the pressure associated with a WIP. Add this badge to your blog! Novel Matters - Visit Today! Broken person, wife, mom, writer. I like to poke things with sticks. Here's a stick for you. Poke something. Get the Novel Matters widget and many other great free widgets at Widgetbox!